In some cases, eligible injuries for workers’ compensation extend beyond those experienced in the workplace. 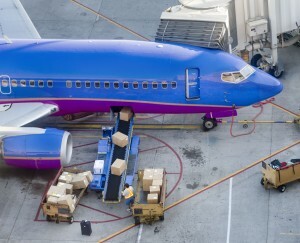 Airline workers injured during layovers represent an example of these cases. In Illinois, this is especially relevant, given that the state features multiple large airports, including the O’Hare International, Midway and Chicago Executive airports. Under the Illinois Workers’ Compensation & Occupational Diseases Act, workers injured during the course of employment are entitled to workers’ compensation. While this fact might sound straightforward, there are nuances related to different contexts that are important to clarify. For example, for many workers, commuting to and from the workplace and leaving the workplace for meals are common activities that revolve around employment. However, an injury incurred while commuting to a residence, walking to the car or eating in a restaurant will generally not qualify for workers’ compensation in Illinois. Under the law, similar off-site injuries are eligible for workers’ compensation in the case of injured airline workers during layovers. Pilots and flight attendants, in particular, are considered traveling employees, because extensive travel is a necessary condition of their employment. If these workers are injured during layovers, even if the accident took place outside of the airport or in another state, workers’ compensation applies as much as it would to a worker injured in a factory in Illinois. In other words, even if the injury did not take place in Illinois, so long as the worker was originally hired or principally works in the state, a claim for workers’ compensation will be valid. Airline workers are not the only type of worker that is considered a traveling employee. Consultants and salesmen represent another group of workers for which travel is a significant part of the job. If one of these workers, during work-related travel, were to fall down the stairs in the hotel or be struck by a car on the way to a client meeting, he would be eligible for benefits under workers’ compensation. Given the added dimension of complexity in workers’ compensation cases in which the injury took place during a layover, possibly in another state, claimants may wish to seek the help of an experienced workers’ compensation attorney.